Some time ago -- OK, a couple years ago, actually -- a reader left a comment on my list of top ten Belgian beers, expressing surprise that I hadn’t included Straffe Hendrik in there. Indeed, I hadn’t yet even written about this beer, which could well be, he noted, “the Jimi Hendrix of beers”. Now I don’t know about that, but I should at least give it a try. And after all the jacks are in their boxes, and the clowns have all gone to bed, I’ve got a quiet moment to pop open a bottle. 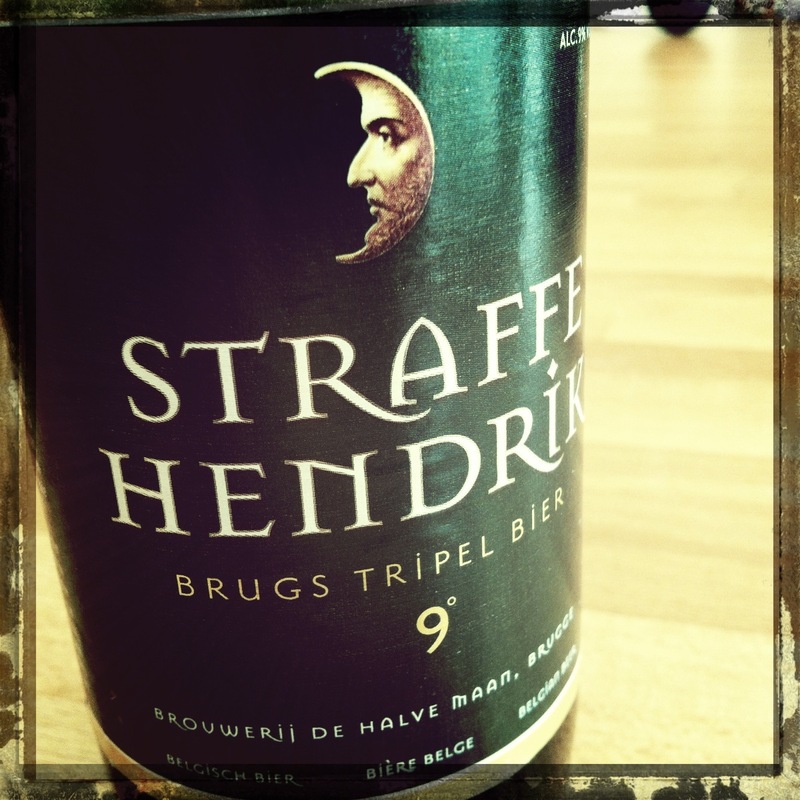 Straffe Hendrik pours a very appealing red, very close in fact to the colour of my wife’s hair. It’s notably effervescent -- again, much like soul mate. But similarity fosters no affinity in this case. “It tastes like a rotten peach, and it’s too sweet”, says Fiona, though she admits her taste buds may be warped at the moment by the Duvel Tripel Hop she’s just enjoyed. I actually find it less sweet than the average Belgian strong blonde ale. Overall, it’s a solid tripel, yet deeper and richer, with added layers of flavour. There’s a caramel note underneath the fruitiness, but somehow it doesn’t add sugariness. It’s also got an unusual yet lovely nuttiness. The 9% alcohol is noticeable in the taste, but it’s very well balanced in the mix. Really quite nice. But does this ale from De Halve Maan brewery in Bruges belong on my list of the top ten Belgian beers? Well, perhaps not, but it is a very fine tripel. If you ever go to Bruges, include a De Halve Maan brewery it's cheap as chips, really interesting and you get a large glass of a choice of beers at the end. Excellent restaurant in their too. The tripel is good but I prefer the quad personally.